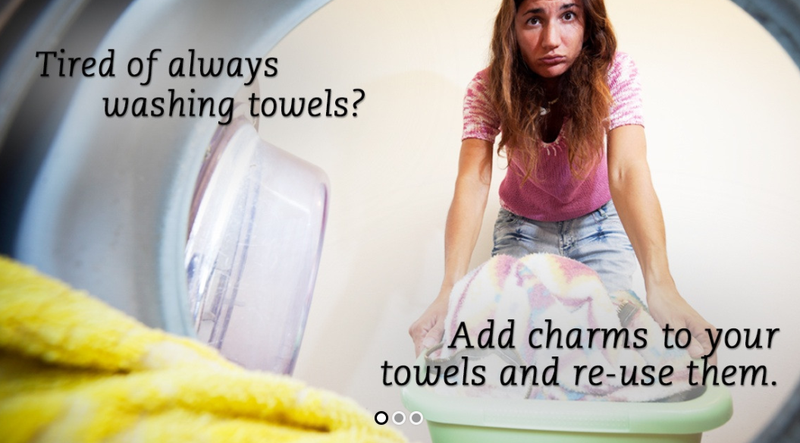 A little over a year ago, when the line “Karen Pence, Your Future Second Lady” was just a fun little goof, Jezebel wrote about then-Vice Presidential candidate’s wife’s “Towel Charm” business. Shortly after, the website was shut down, with a message explaining that the business had been put “on hold.” A gaping hole opened up in the universe. After publishing a blog about crotch charms that claimed—apparently mistakenly—that “That’s My Towel!” Charm, Inc. is currently defunct, it has come to our attention that the charms are, in fact, very much alive, as of an as-yet-undetermined date in 2017. We regret the error. I designed a charm holder that goes through a towel. My company sells the charm holder and your choice of charm. You can attach the charm holder to your bath or beach towel and identify it as your own. The goal is to eliminate having to wash towels every day because no one knows which towel is theirs. It saves time and money and helps get the bathroom organized. And they are adorable! I certainly will not—thanks, Karen, and congratulations to the gated communities of Indiana. We’ve reached out to the Second Lady to confirm the good news, and will update if we receive a response. Are Crotch Charms the New Towel Charms?